IW Gregorio on NONE OF THE ABOVE + GIVEAWAY! High praise — and well-deserved. Ilene swung by the Ball to chat about her favorite characters, not-so-secret superpowers, and writerly advice — from the Girl Scouts, naturally! I know its an odd choice from a YA contemporary author, but I think that my favorite character ever is Eugenides from Megan Whalen Turner’s THE QUEEN’S THIEF series. What I love the most about Eugenides is how he evolves throughout the series – he goes from the ultimate unreliable narrator in The Thief, to a bold (and literally tortured) hero in Queen of Attolia, to a brilliant, mature, leader in King of Attolia. He’s also just such a complicated figure – both lovable and irritating, mercurial and funny and brave. I’m happy to see that independent bookstores are coming back (largely driven by the physical sales of children’s books). I remember when my local indie, Chester County Books and Music, announced that it was closing its doors. The store is literally two minutes from my office and I’ve hopped over there on many a lunch-break to pay my tithe to the book gods. I was devastated when I heard they were shutting down – it was just before I queried my book, and I was so heartbroken that I wouldn’t be able to have my launch party is there, like I had dreamed when I first moved to the area. It was almost as if someone had died. Luckily, the community outpouring was so great that the owner decided to reopen in a smaller storefront just feet away fro its old building. And I am so, so happy that my launch party will be there on April 12th! I wish I were better at languages, so I could travel the world independently, and really immerse myself in different cultures. Sadly, it’s a talent that I just don’t have. I barely scraped with my proficiency in college, and to this day I regret being handcuffed by my lack of language ability. Even thought English is spoken practically everywhere, it just seems so arrogant to me to go to a different country and expect them to be able to cater to you. I can sleep anywhere, under any conditions. On planes, in the car, on the worst on-call bed. Don’t tell anyone, but once I almost fell asleep on my feet while holding the retractor in a surgery during medical school. I can sleep through pretty much any sound — and I think my daughter inherited my gene. A couple of years ago we got her a Hello Kitty clock that had one of those old-school bell alarms. One day she was playing with it and accidentally went off at 10pm. I was downstairs when I heard it, and rushed up, thinking she’d be freaked out and crying….she was sound asleep. There are some age-old cliches that I always tell people who think they want to write a novel: Publishing is a marathon, not a sprint. Keep your eyes on your own work (this is an especially important thing your debut year – you could stress over what your publishing house does or doesn’t do for you every day!). But perhaps the best advice I stole from the Girl Scouts of America: Make new friends, but keep the old. One is silver and the other gold. I never would’ve been published without my friends. It might just be my personality profile – I’m an extrovert, and I’m somewhat insecure at my core. And sometimes publishing (not writing, mind you – I’m talking about the selling part) can be such a soul-sucking grind. Your writing friends won’t just critique your work; they will ground you, they’ll give you perspective, and they’ll keep you afloat when you just don’t have the energy to swim anymore. Want a chance to win a copy of NONE OF THE ABOVE? 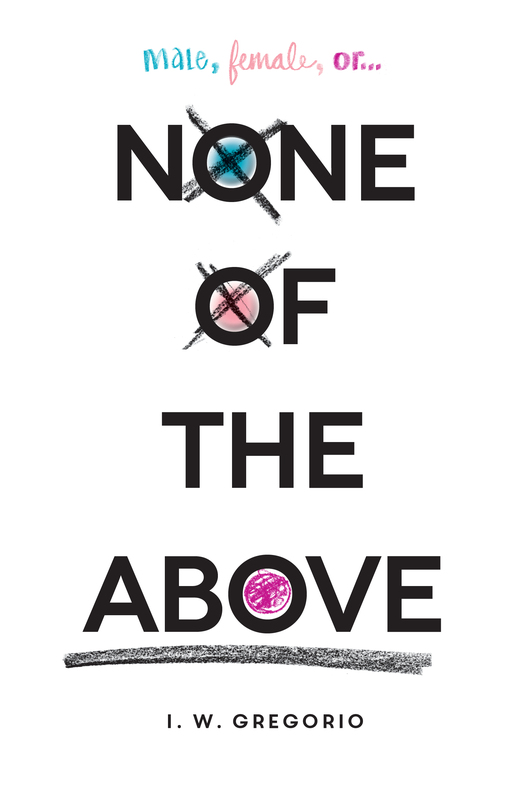 GIVEAWAY: Comment on this post by Noon (EST) on Friday, April 3rd to win a copy of NONE OF THE ABOVE (International OK!)! Follow The Debutante Ball on Facebook and Twitter for extra entries—just mention that you did so in your comments. We’ll choose and contact the winner on Friday. Good luck! I. W. Gregorio is a practicing surgeon by day, masked avenging YA writer by night. After getting her MD, she did her residency at Stanford, where she met the intersex patient who inspired her debut novel, NONE OF THE ABOVE (Balzer & Bray / HarperCollins, April 7, 2015). 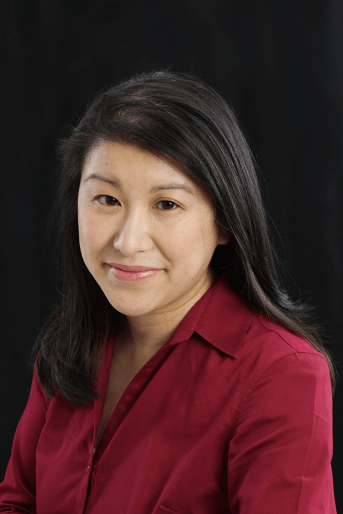 She is a founding member of We Need Diverse Books™ and serves as its VP of Development. A recovering ice hockey player, she lives in Pennsylvania with her husband and two children. Want to learn more about Ilene? Find her on Facebook or Twitter! Great interview! Intersting book would love to read it. I wish I had your super power. I am a light sleeper could be because my kids are still young so my ears are like antennas 24/7. Thanks for the giveaway! I thought this book was so interesting, especially the social effects of the main character’s diagnosis. Ohhh this sounds interesting. Ilene is an overachiever! A doctor and novelist, amazing. How does she have the time! Anyhow, I’d love to win. Thanks! I forgot to add, I also like and follow The Debutante Ball on Facebook and Twitter. So excited to read this book! It’s in my top five anticipated books of 2015. TY for the giveaway! I’ve also liked and followed The Debutante Ball on Facebook/Twitter. “Publishing is a marathon, not a sprint”- I love that advice, Ilene! It’s so inspiring that you got your MD and wrote a book- two things I dream of achieving. I haven’t read The Queen’s Thief but now want to! Can’t wait to read None of the Above as well of course!